Heat and washing up liquid is your friend. All that hard work then put a ridiculous reg plate holder on. It's more easily read when wheelieing. I like the humorous exhaust can. Good work, not my taste, but good looking all the same. the exhaust is not to my taste either but there are others bits that need sorting first. 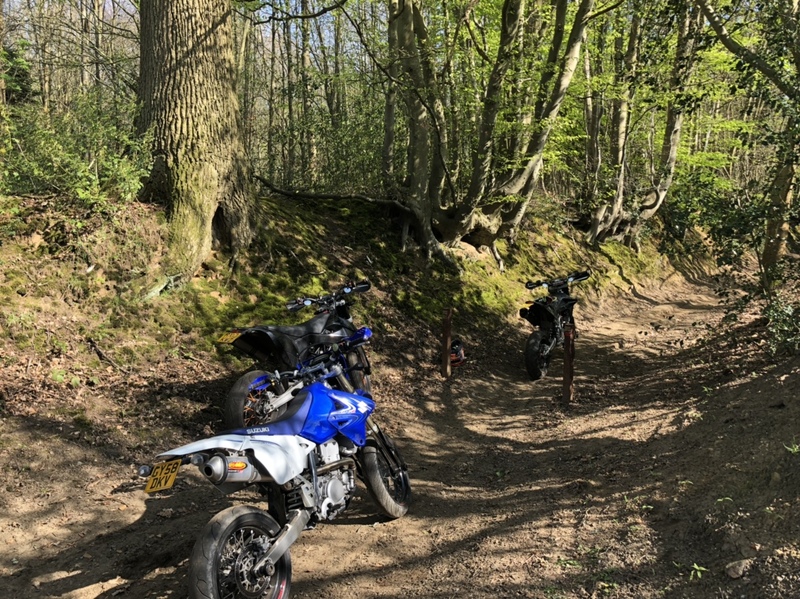 So just back from the first day out today, great fun, great to be back out on he bike, 1st time I’ve been out on a bike for 6 months (since my accident) loved it. Woke up early this morning 8am, drained all the oil, replaced the filter and cleaned the metal filters. 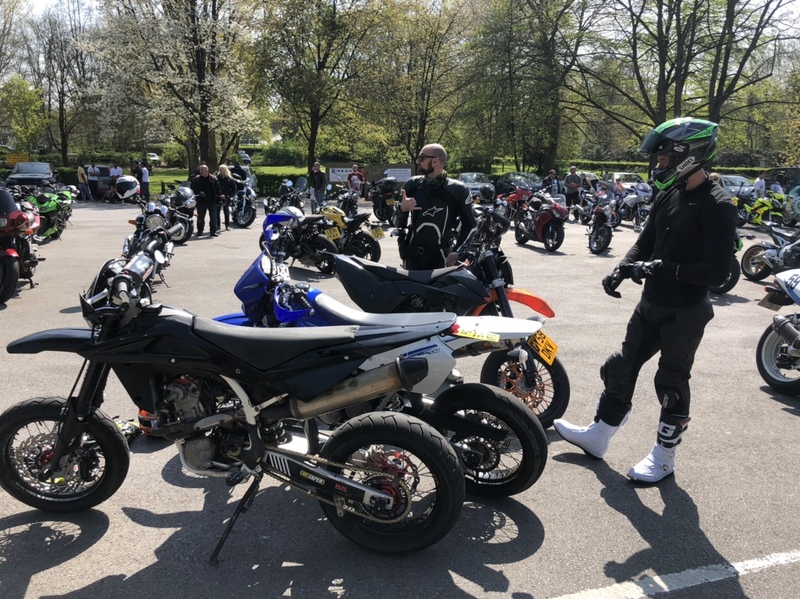 This is were the fun started, driving from north london was a trek, and not a fun one, loads of Easter traffic, anyway once out in the open it was a different game, loads of leg out 1/2 wheelie fun. Great day out and great to be back out on a bike. I had ago on my mates KTM 690 smc, loved it. 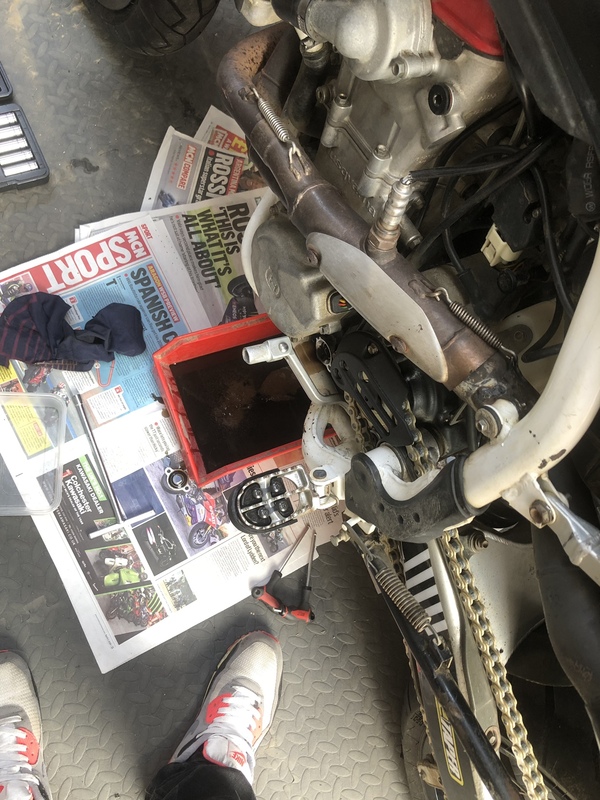 My Husky had the fuel light sensor built into the tap, from memory when the wire broke it was always on, I think I took the bulb out in the end.